Seven inmates who had escaped from the Naboro maximum prison last month appeared before Magistrate Liyanage Wickramasekara yesterday. The seven were Filipe Delana, Ulaiasi Qalomai, Mesulame Waqabaca, Josaia Usumaki, Bainivalu Tuimatavesi, Solomone Qurai and Peniasi Qalibau. 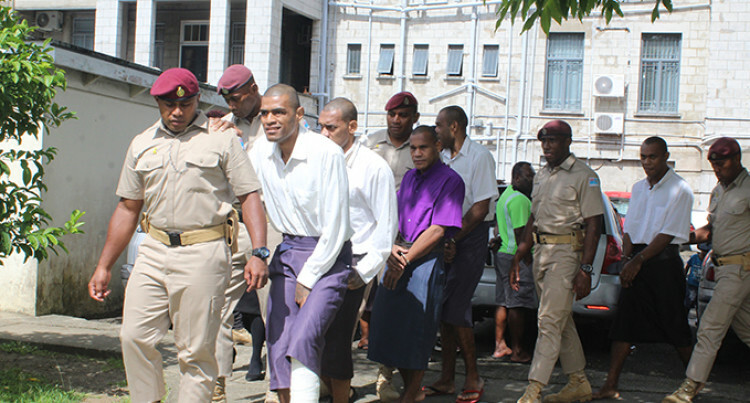 The matter was adjourned for plea to February 4 before Chief Magistrate Usaia Ratuvili. They were charged with one count of damaging property and one count of escaping from lawful custody. It was alleged that on December 24, 2018, the seven men at Lami, willfully and unlawfully damaged the property of Fiji Corrections Services, including a mattress cover valued at $39, a blanket valued at $13, a pillow case valued at $12, a mosquito net valued at $25, 80mm pvc pipe valued at $17.50 and 20mm deformed bars valued at $31.55 with the total value of $138.05. Magistrate Wickramasekara had asked all the seven inmates to choose if they want to represent themselves or seek Legal Aid or get a private lawyer. Delana, Waqabaca and Usumaki had waived their right to counsel. Qalomai, Tuimatavesi and Qurai had opted to seek Legal Aid representation. Qalibau had opted to engage a private lawyer.